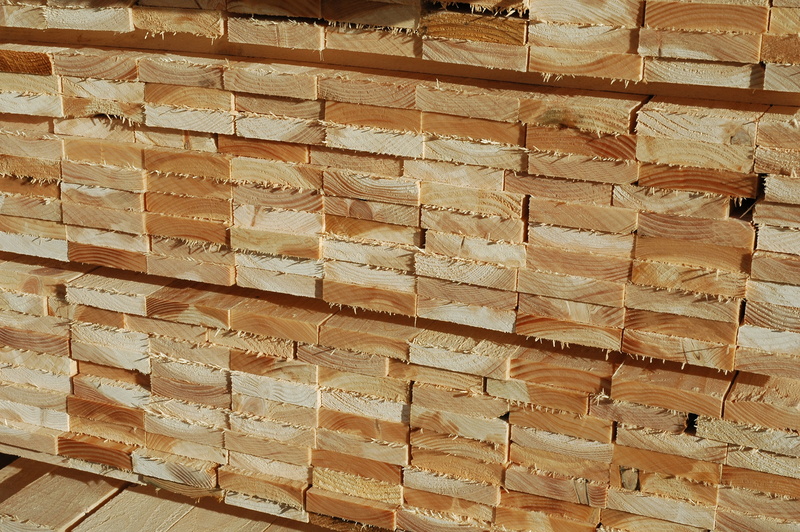 EN14081-2 is the standard that governs machine controlled strength grading of timber in Europe. A new version of this was published in 2018, and in March we had the last meeting of TG1 that would be accepting reports to the previous version. There are several big changes in this standard, but one of the improvements is the way it deals with “growth areas”. It matters where the timber comes from (where the trees grew), because tree breeding and genetics, climate, forest management and other growth conditions all affect wood properties. This is important for grading because these influence the average properties, the variation in properties, and the correlations of properties with the things measured during grading (the indicating properties). A small country, like Switzerland, is treated the same as a huge country like Russia. Even quite small countries can have large variations in growth conditions (e.g. north and south of Sweden). England, Scotland (*2), Wales, or Northern Ireland (even though they are countries within the United Kingdom). So these are not treated separately and included within the growth area of the United Kingdom. And it does not include the British Overseas Territories, such as the Falklands (FK), Bermuda (BM) and Gibraltar (GI), which clearly have very different growth conditions to the growth area of the United Kingdom. And it also does include the Crown dependencies: Guernsey (GG), Jersey (JE) or Isle of Man (IM), although perhaps an argument could be made that they are sufficiently similar to the growth area of the United Kingdom to be considered the same. The United Kingdom is not alone in being complicated (at least in this respect). For example, the Kingdom of Denmark includes also two autonomous constituent countries: the Faroe Islands and Greenland. Clearly both of these are quite different kinds of forest growth area than Denmark proper (DK). Fortunately EN ISO 3166-1 gives us separate codes for the Faroes (FO) and Greenland (GL). Similarly the Kingdom of the Netherlands comprises the Netherlands and three Caribbean Islands Aruba (AW), Curaçao (CW), and Sint Maarten (SX). However EN ISO 3166-1:2013 (BS version 2014) explicitly says that the code NL includes the islands. We have the same problem with France as EN ISO 3166-1 explicitly says that the code FR includes places like Guadeloupe (GP), Guyane (GF) and Réunion (RE). There are also very strong arguments that Corsica should not always be grouped with mainland France if the sampling does not cover both – or does but shows the timber is too different to be considered a single growth region. Clearly some common sense needs to be applied when interpreting countries, EN ISO 3166-1 two letter codes and growth areas – but what about the things that are not so clear as part of a country over the other side of the world? Well, EN14081-2:2018 helps in saying that “Parts of countries or standardized areas may also be considered if they are clearly geographically defined” (clause 6.1). This was already done since 2012 – via a rule from the TG1 decision list (#7) – initially to cope with the Russia being such a huge country that it could not be sensibly treated (safely) as a single growth area, and later to treat Corsica separately from mainland France for some reports. The update to EN14081-2 makes this a formal possibility opening this up more easily to treating parts of smaller countries in the same way. The standard does not say so explicitly, but this should never be done for reasons of getting good grading yields – rather it should be a reflection of the actual growth conditions and forest industry practice. Defining growth areas to seek better yields could lead to the system of grading (overall) becoming unsafe. Another thing that EN14081-2:2018 brings is the concept of “standardised areas”. These are groupings of smaller countries that can be considered (for the purposes of sampling, and calculations) as if they were a single country. This is partly in fairness to the small countries, but also a reflection of what we know to be similar in growth terms. There were previously a number of ad hoc TG1 decisions similar to this but they are now retired. Prior to the introduction of the country check (TG1 decision list #12) in 2012 reports sometimes included countries surrounded by sampled countries but with no sampling done. Settings that were calculated using those old practices remain valid but those old decisions and reports are no longer a basis for new settings grouping countries in the same way. It is not necessary to use the grouping of standardised areas, and a report’s authors may choose not to for economic reasons, or if they consider it unsafe (in the context of their particular report) to do so. It is not entirely clear whether only parts of a standardised area could be used – but we will deal with that interpretation if and when it arises. The standardized areas given in Table 2 may be used for forming a test area and/or deriving settings. For a standardized area, a representative sample from one country can be considered representative for the other countries in the same standardized area. These standardized areas are valid for machines and grading principles without further verifications for all species growing there. NOTE These standardized areas can be used for the development of setting areas to limit the number of samples from a country or standardized area. * These countries alone cannot be considered representative for the standardized area. For clarity, the March 2019 meeting of TG1 minuted that a standardised area is, for the purposes of the sampling and verifications in this standard, synonymous with country and therefore a standardized area can be treated in the same way as a country. (This interpretation does imply standardised areas could be subdivided with the same freedom as subdivision of countries). Settings areas are still, however defined by country and this does not mean that standardised areas can be applied retrospectively on settings that do not list countries that are part of a standardised area. The criteria and evidence basis for standardised areas was queried during the review of EN14081-2 but there is no explicit statement of how they were created, or on what basis new standardised areas might be created for future revisions of the standard. They are, however, somewhat informed by the Gradewood project – and so the basis is common commercial softwood species such as spruce and pine. In principle standardised areas apply for any species, but as always safety of settings must be the governing guide. Just because the standard allows something does not mean that you should do it – nor that it will be approved by TG1 if there is grounds for doubting the safety of the settings (not justified in the report). Brexit should not change any of this – at least in the short term. (*1) Yes, the proper EN ISO 3166-1 code for the United Kingdom of Great Britain and Northern Ireland is GB and not UK. However, UK does appear instead of GB in many places, and the code UK is reserved (at the request of the United Kingdom) in case it is used by another country. If you are confused as to the difference between Great Britain and United Kingdom (and also possibly England)…and what Crown Dependencies and British Overseas Territories are, there is an explanation video by CGP Grey here. (*2) If Scotland had voted Yes to independence in the 2014 referendum it would be regarded as a separate country and the consequence would be it requiring is own sampling and verification – unless the sensible (but perhaps not politically simple) option was taken to make a standardised area. I say sensible because, for strength grading, we do not think there is anything different (in a practical sense) about the timber grown in Scotland so while the verification itself would not really be a worry – the need for it would likely mean more testing (and expense) and some complexity about sampling sawmills that draw timber from both sides of the border. Re Scotland as an independent country, I understand a new sampling would have been necessary for new settings, but would not it make more sense just to keep the existing ones? It may not be in line with the standards, but it would be like an expansion of existing settings to a country which was already part of the whole sampling area. A bit hypothetical but just a thought. Yes, one option that EN 14081-2:2018 includes is a check of timber sampled in an area to see if it can safely apply already existing settings. Although this has a higher requirement (Clause 6.4.2.3) than if it were part of a full settings calculation (Clause 6.4.2.2 step 2). That would make it slightly harder (statistically) to pass. But you raise a question there I did not consider: if Scotland had become a country, could it apply UK growth area settings approved before that date. I don’t think anyone would argue there is any technical problem with that at all, but for clarity we would no doubt have to update the older documents. So an expansion check is not necessary – and the only changes would concern new settings for additional species, new machines etc.